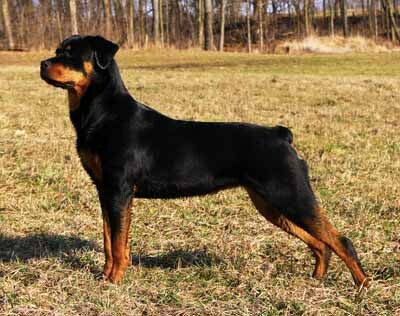 Harely is also and American Rottweiler, raised by the Johnson Family. He has won 2 AKC championships and 1 agility title. He has a strong american build and a protective demeanor. Harley has just begun his career as show dog and is a year old as well as Agility. He has one litter on the way with Ruby. 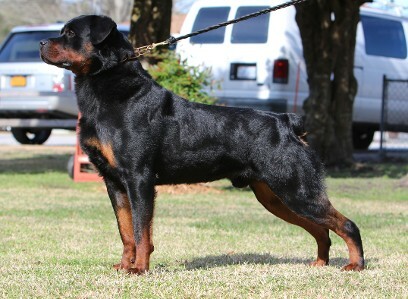 Zeus who was born in Germany and raised by the Johnson family has won 4 AKC titles as well as 3 agility chamionships. 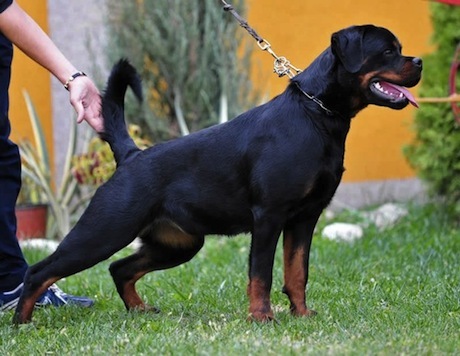 He is one of our strongest dogs and has great german rottweiler build. He has so father been the father 2 of litters, one of which is ready for adoption, and is 2 years old. Ruby was raised by the anderson family. 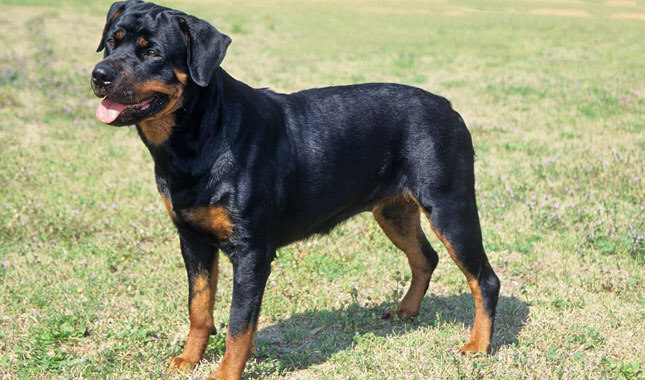 She is an American Rottweiler, but with a german bloodline. Her american build and german strength make her a unique show dog. Ruby has won 2 AKC titles as well as best show dog in many other categories. She started agility and has won an agility title and is making her way up to more. Ruby is a year and a half and is about to have her first litter in a few weeks. Bella, raised by the Von Hudson family, is a 3 time AKC champion and has won many other smaller show titles. Bella was born in Germany and also has a strong german build, however a bit smaller in size. The Von Hudson family has let us breed her and she given birth to a litter that is ready for adoption. Bella is a year old and continues her career in being a show dog. Also raised by the Bullenhof household, Miller is a 5 time consecutive AKC Champion as well as 3 time agility Champion. Miller is 3 years old and is the father of 3 litters, one of which is Daisy's. Miller started his showdog career at 6 months and made his way into sport as well. 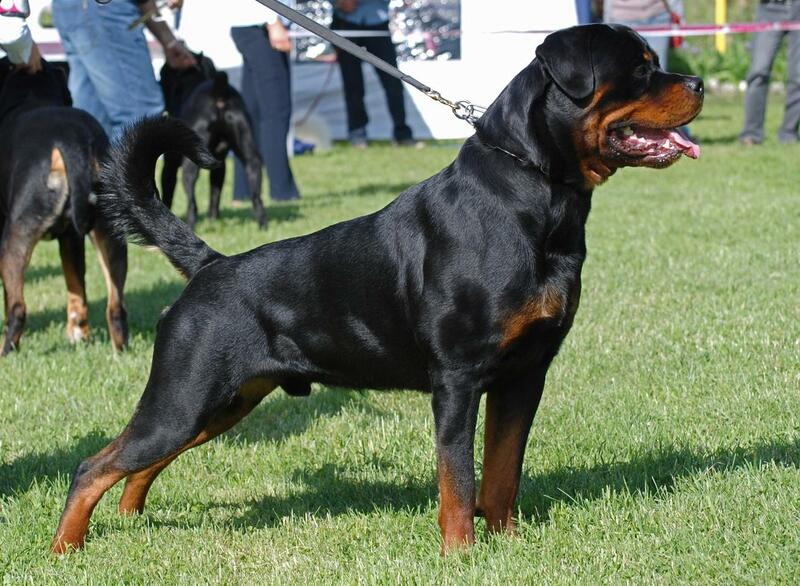 Miller is one of our best male pedigree dogs, with a Bullenhof bloodline as well. 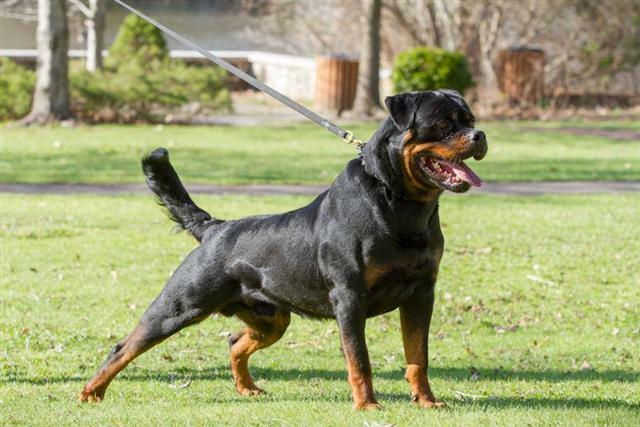 Miller is best known for his strong german rottweiler build but also gentle personality. Raised by our own Bullenhof family, Daisy has become a 5 time consectutive AKC champion as well as winning titles in sport. Daisy had her first show at 9 months, and made her way up to best AKC Rottweiler in the past two years. She also won agility trials in many different shows. Daisy is our best pedigree dog and has had 2 litters. Daisy had one litter at a year old and just gave birth to a second litter about a week ago at the age of 2.